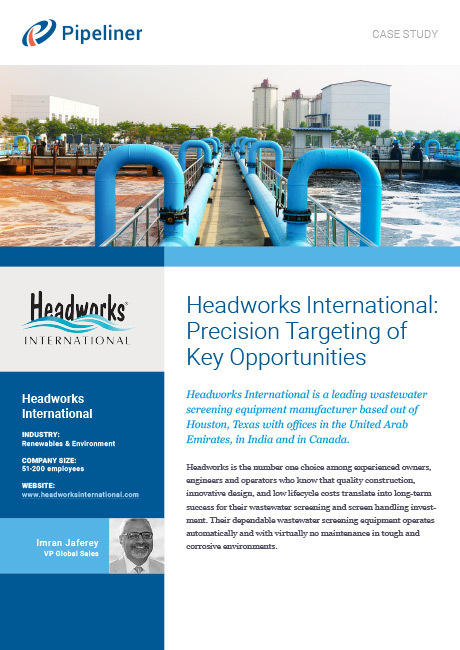 Headworks International is a leading wastewater screening equipment manufacturer based out of Houston, Texas with offices in the United Arab Emirates, in India and in Canada. Headworks is the number one choice among experienced owners, engineers and operators who know that quality construction, innovative design, and low lifecycle costs translate into long-term success for their wastewater screening and screen handling investment. 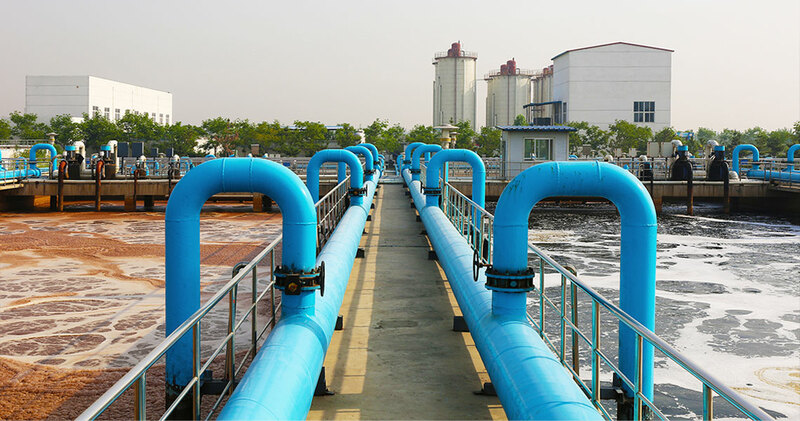 Their dependable wastewater screening equipment operates automatically and with virtually no maintenance in tough and corrosive environments. Headworks’ Pipeliner experience began when Imran Jaferey, Headworks Vice President—Global Sales, saw a Pipeliner CRM presentation at one of Pipeliner’s Power Breakfasts in Houston. The timing turned out to be perfect as Headworks had become extremely dissatisfied with the CRM they were using at the time. Another major Pipeliner benefit is the fact it can be implemented in a fraction of the time and expense of other CRM applications. A common complaint about a traditional CRM is the time and expense to get it up and running. Another major Pipeliner benefit is the fact it can be implemented in a fraction of the time and expense of other CRM applications. “From the day we signed the Pipeliner contract to the day we had the system running, I think it was less than 3 months,” Jaferey says. “Now everybody uses it and everybody’s comfortable with it. When I implemented Salesforce in my last company, it was close to a year process to get it done. It isn’t uncommon, with traditional CRM applications, to have to train up one or two full time administrators to oversee CRM. This isn’t the case with Pipeliner—in fact, administration is part time and requires just a few hours training. And anyone can do it. “With Pipeliner, I don’t have to go to IT for help,” Jaferey notes. “That was something I was told, but I didn’t believe it until I started using it. I’m one of the administrators, and we have two others—one in Sales and one of the senior project managers. We can add fields, modify forms, and do everything needed. Like many others managing salespeople, Jaferey has found Pipeliner to be an enormous time saver. “Pipeliner gives me a lot clearer view into what my team is actually doing,” he says. “Because Salesforce was unwieldy, we had a lot of emails flying around. I don’t have to deal with that now—I can see when things are moving along the way they should be and when they’re not, I can dig into the feeds and see what activity has been happening. With Salesforce, we had an outside company that we had to pay to make any changes. We’ve done a fair amount of customization on Pipeliner to make it fit our process, and it’s been a very easy. Salespeople are rarely chained to desks, which means that mobile CRM is a crucial part of their lives. For Headworks, Pipeliner has excelled in this area, too. “We’re all on iPhones here, and the Pipeliner Mobile app has been tremendous,” Jaferey reports. “I’m actually at a trade show right now, and as I talk to somebody and get information I just enter it then. I don’t have to sit in the hotel room for an hour tonight entering all this information. I can just enter it then when it’s fresh.